India is a country of Art, Tradition, Culture, Literature and Languages in all over the world. We have been seeing our rich heritage of art and culture around the world. India is a diverse country where many languages are spoken, different foods are eaten. Each State of India has its own aroma and essence. We have an immense love for different languages like Hindi, Urdu, English and Bangla. 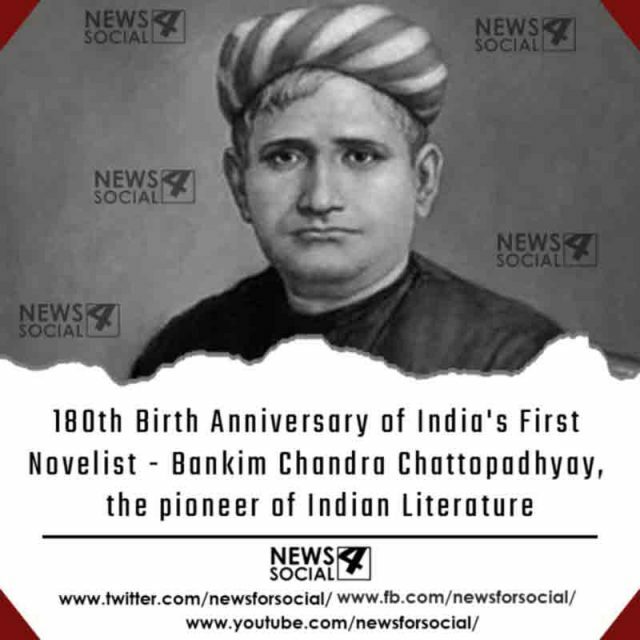 180 years ago on 27th June a legend called ”Bankim Chandra Chattopadhyay” was born. Bankim Chandra Chattopadhyay is a well known personality for every Indian, as we know that he has written our National Song “Vande Matram”. But only few people know that Chattopadhyay was the pioneer of Indian Literature. He was the first novelist of the nation. With the school of literature in himself Rabindranath Tagore , Chattopadhyay is also considered among the key figures of the renewal of Bangla Literature. ”Bankim Chandra Chattopadhyay” was born in 1838 in Naihati, Known as (North Kolkata) today. His father was working for the British East India Comapany. His brother, Sanjib Chandra was also one of the noteworthy novelist’s of India. He went to Hoogly College and Presidense College. He had completed his graduation degree from University Of Calcutta. In 1891, he had served as a Deputy Magistrate in the Indian Civil Service. He had an immense interest in writing, and his inclination towards the language and literature lead him to the world of stories. His stories had a major impact on new budding Indian writers. His first novel called Rajmohan’s Wife was written in English language. At one point Chattopadhyay felt like if he’ll continue to write in english, he would probably never get wide readership that is why he decided to write in his mother tongue Bangla. His first book in Bangla was Durgeshnandini, which is also considered the first Novel in Bangla language. According to a Hindu philosopher and reformer Debendanath Tagore, ”This novel took “The Bangali’s heart by storm”. According to Debendanath Tagore ,Chattopadhyay’s best work till date is Krishnakanter Uil . 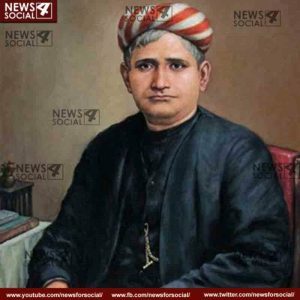 The creator of National Song, ”Vande Matram”,”Bankim Chandra Chattopadhyay” was one of the pillars of Indian Literature and art form. An inspiration to millions- remembering this legend on his 180th Birth Anniversary.